"This isn't Kansas Anymore, Toto!" The principles of professional nursing are the same and must be applied in this new Land of Oz. Gain knowledge, heart, and courage to be a correctional nurse who makes a difference every day in the lives of an invisible yet needy, patient population. The journey into correctional nursing is much like the story of The Wizard of Oz, in that we much discover the power within ourselves to be at home within the criminal justice system. There are days in this profession when you feel like a house just dropped on you or that there are flying monkeys on every shift and your patients are all trying to make you think that they're not behind a curtain pulling levers. The Wizard himself, for being able to replace what's broken and missing inside them with our magic potions. In the middle of a long shift, we may be wishing we could click the heels of magical ruby slippers three times, repeating “there’s no place like home”, and be transported back to sanity. 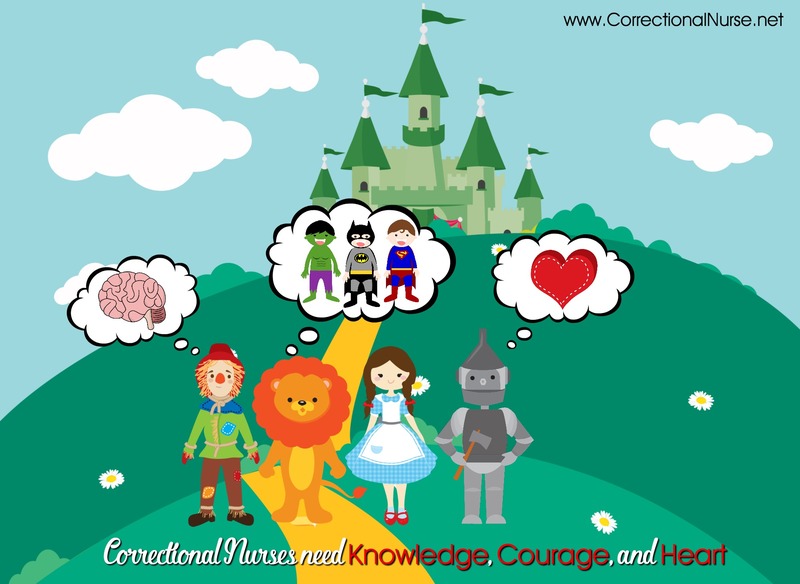 This Wizard of Oz Guide to Correctional Nursing is an attempt to describe the various differences of correctional nursing practice while also affirming the sameness of professional nursing practice in the midst of the people and places of this new land. This book provides the resources needed to gain the knowledge, heart, and courage to be a correctional nurse who makes a difference every day in the lives of an invisible, yet , needy patient population. Using the familiar characters, places, and experiences of the story of the Wizard of Oz, you will journey to find your true self at the end of the Yellow Brick Road. 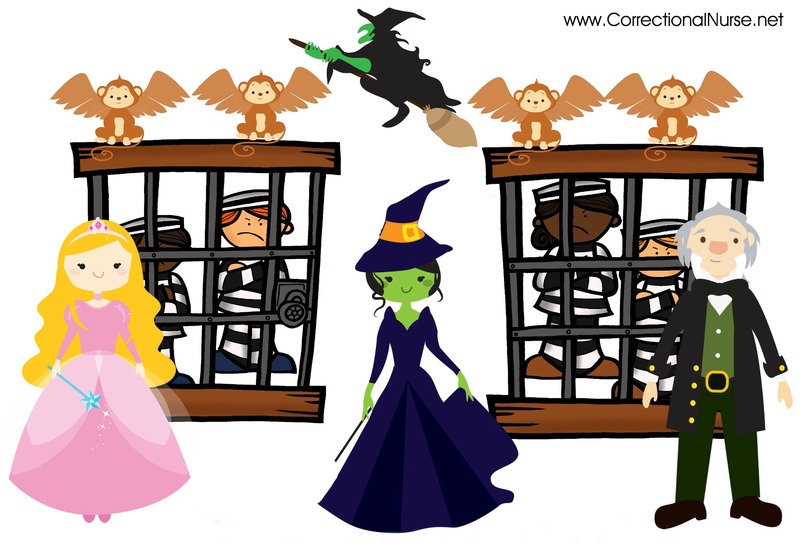 The Wizard of Oz Guide to Correctional Nursing is a creative and fun approach to delivering the basics about correctional health care. Lorry skillfully takes us on a parallel journey through Oz and the unique specialty of correctional nursing. As the reader navigates through the book, practical and relevant advice is offered. Novice and experienced correctional nurses will be reminded to stay focused, like Dorothy, on the ultimate goal of reaching Kansas. Kansas, for correctional nurses, is attained by providing great patient care through specialty knowledge, safety, and sound nursing practice. The comparison of the two worlds subtly delivers the message that each nurse holds the power to positively impact care delivery and patient lives. I have been a correctional nurse for 15 years and when I first stepped into the life of correctional nurse I wished I had a resource book such as this one that I could have referred to. Correctional nursing is such a specialty in itself that requires a certain learning curve that is obtained through years of experience. I would suggest that every nurse going into this field read The Wizard of Oz Guide to Correctional Nursing and keep one on their unit for reference. 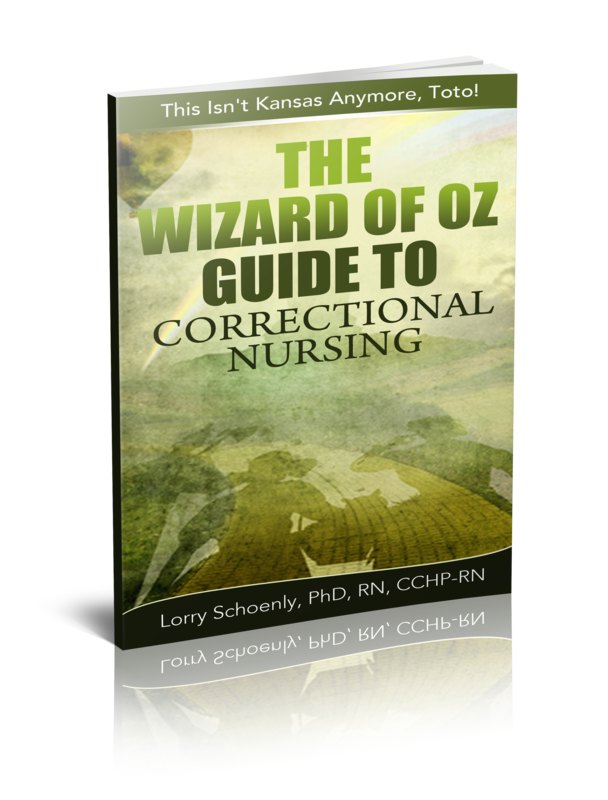 The Wizard of Oz Guide to Correctional Nursing: This Isn't Kansas Anymore, Toto! reflects the journey to becoming a Correctional Nurse. Dr. Lorry Schoenly is certainly the wizard helping us thru Oz. This is exactly the resource that has been missing from the world of correctional nursing. I found it to be clearly written which will enable the new, as well as the seasoned, correctional nurse the ability to navigate the medical, mental health, moral, and legal issues that arise in a correctional institution. This book addresses the medical and mental health conditions particular to Correctional Nursing (such as Taser, pepper spray, and suicides), then gives the health care management and actions to be taken. This book will be a tool that I will use to retaining new hires so they will not be lost on the yellow brick road to Oz!! !